The BellaOnline Ebook Awards were created as a complement to the BellaOnline Mused Literary Review. Where the Mused Literary Review celebrates poetry, short stories, plays, and other shorter works of art, the BellaOnline Ebook Awards helps promote longer works of art, including mystery novels, sci-fi stories, self-help tomes, and much more. 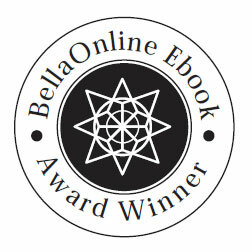 Here are Frequently Asked Questions, or FAQs, about the BellaOnline Ebook Awards. Please let us know if you have any further questions! Do You Really Read the Entire Book? The enthusiastic answer is YES. So many other book award systems do NOT read the entire book. Some will only read the first page before throwing a book on the "rejection" heap! We feel this is a great shame. A book takes great effort to be written - it deserves to be read. Sure, sometimes an author might struggle with their opening chapter - and then they can achieve fantastic success with the remaining pages! We at BellaOnline will read the entire book before making any decision or offering any suggestions. Again, YES YES YES. How frustrating is it when you pay good money, send off your work, and then don't hear anything back until a "Sorry" message arrives in the email? You have no idea of that judge was having a bad day or if they simply hated your topic area. We want to HELP you thrive. We will talk with you and explain why we did not connect with your book. Do You Really Accept Self-Published Books? We feel strongly that self-published books can be fantastic and that unknown authors can create stellar works. Not all award systems believe that to be true. Take, for example, the HUGO awards in science-fiction. They say right on their website, "How do I submit my book (or story or movie) for nomination for a Hugo Award? The short answer is, 'you can’t'." They choose for themselves who they want to read. The Edgar awards, for mystery books, work with a list of approved publishers. With the RITA awards for romance novels, they state that "priority will be given to author-entrants who volunteer to judge the RITA Contest." Here at BellaOnline, every book has a fair chance. Every book gets judged on its merit alone. You could be a single parent in Boise without famous publisher friends or expensive memberships. If your book shines, it will win. How does your Entry Fee Compare? Other contests take $150 or more for a fee and then barely read two pages of your book. Here at BellaOnline we read the entire book, offer feedback, and even so our reading fee is far lower than most other sites. The RITA romance novel award reading fee for non-members is $150. The IPPY independent publishing awards range from $75-$95 per book. The Poytner ebook awards are $79 per book. In comparison, the BellaOnline reading fee starts at just $40 per book. We know budgets are tight. We understand what it's like to be a struggling author! We want to help you thrive, and offer feedback, and help promote the idea that self-published books can be fantastic works of art.